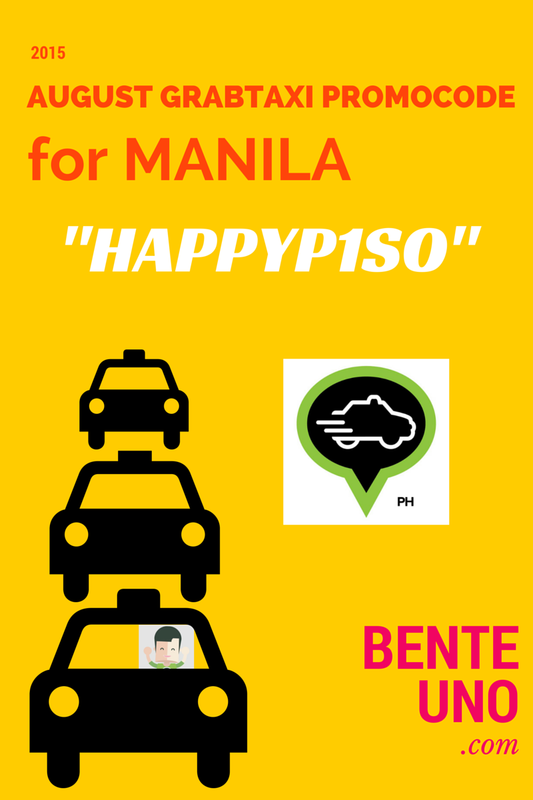 GrabTaxiPH brings back their good 'ol time promo HAPPYPISO Starting August 3 to Aug 15 use promo code "HAPPYP1SO" to enjoy 1-Peso booking fee in Metro Manila every time you book a cab. It's identical to the previous HAPPYPISO promo, but this one is spelled with a "1" instead of an "I" in the word PISO. The new GrabTaxi Promo Code gives you a total of 13 days of GrabTaxi Cab rides for just 1-Peso booking fee. That's PHP 1.00 on top of your metered rate. A few days ago, GrabTaxiPH announced that its promocode "UMBRELLA" for GrabCar users will be extended till the 10th of August[click here for more]. 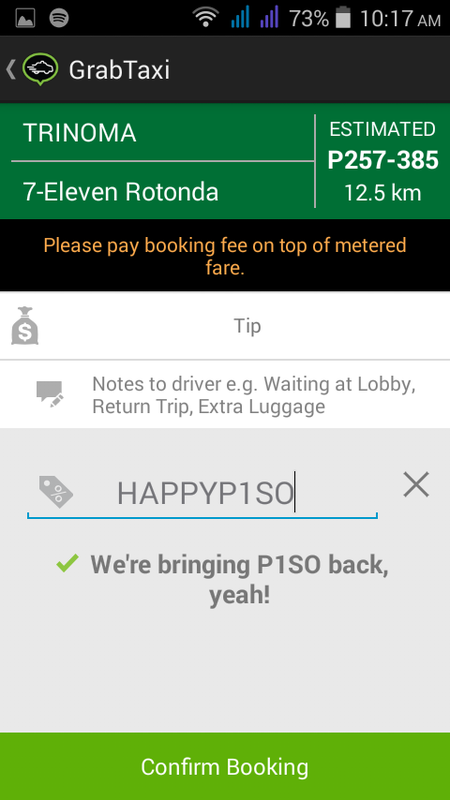 Now their GrabTaxi peers are getting love as well, thanks to the HAPPYP1SO GrabTaxi promo code for the month of August. The promo code HAPPYP1SO is also not case-sensitive, just make sure you type "1" instead of "I" to make the code work(see figure below).